One of the ten winners: Navya's autonomous shuttle named Arma running a short route along Las Vegas’ Fremont Street. Three of the ten game-changing companies announced as 2019 New Energy Pioneers focused on electrifying transport – with novel forms of charging infrastructure for cars, autonomous shuttles for local transport and electrified planes for short to medium haul routes. “Others are finding new ways to produce materials more sustainably and efficiently, ranging from concrete, to water to metal components, and we continue to see innovation to drive down the costs of solar power still further, underpinning continued rapid growth of that sector,” selection committee chair and head of strategy at BloombergNEF Michael Wilshire said. The ten companies are being recognised for their leadership in developing and providing a variety of transformative technologies. The news comes at a time when the World Economic Forum is saying that the World’s energy transition is in doubt as progress on affordability, sustainability has stalled. CarbonCure is a Canadian company that has patented a more carbon friendly form of concrete by injecting carbon dioxide captured from an industrial process into the materials while being made. It claims this leads to more compressive strength than conventional concrete. The nearest provider of this material to Australia is Pan United in Singapore, which specialises in concrete and logistics. Metron, in France, is an international provider of an “Energy Virtual Assistant” that uses AI to predict energy usage and help industrial facilities achieve the energy efficiency standard ISO 50001 and quickly recoup the cost of implementing energy management tech. “Most manufacturing companies lack a dedicated team that would constantly analyse the flow of energy in their facilities and produce actionable insights to tackle the ever-increasing energy burden,” Metron’s chief executive officer Vincent Sciandra said. 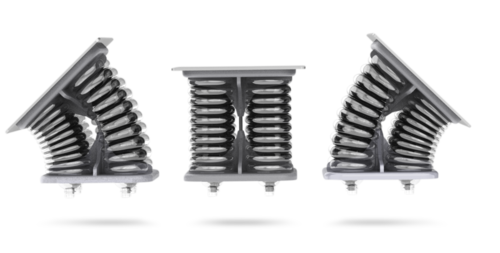 Ubitricity provides a solution to charge electric vehicles from lamp-posts. 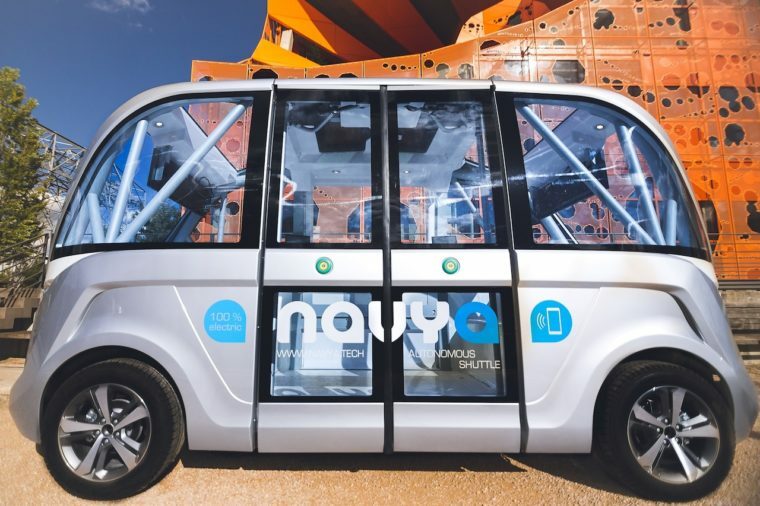 Still in France, Navya provides low speed driverless electric shuttles, while over the channel in the UK, Ubitricity provides charge points for local authorities and residents in neighbourhoods where the standard provision of on site EV charging facilities for local residents is not always easy (like for residents of multiple occupancy units). Its aim is to make EV charging simple wherever one lives to increase uptake of electric vehicles. “We are now bringing charging stations right outside people’s front door – into the lamp post,” Knut Hechtfischer, the co-founder of Ubitricity, said. The enabling Ubitricity technology is already in use in Berlin and London and will be piloted in NYC starting in summer 2019. “Just as smart phones are bundled with digital services today EVs will be bundled with electricity services in future. The energy data required can be generated by the EV’s electronics serving as mobile smart meter,” Mr Hechtfischer said. In the US, Nozomi Networks provides a sophisticated cybersecurity system for industrial control systems to detect and resist anomalies. Attacks on power stations and industrial facilities are becoming increasingly common now that they are being wired up for automation and energy management. Uptake is another winner that provides AI-driven process optimisation tech. Sunfolding’s sun trackers for PV panels need no motors. For managers of solar farms, Sunfolding manufactures a very easy-to-install tracker of the sun for solar panels to maximise output. Instead of using a motor, it’s driven by the buoyant force of gas bubbles. Zero Mass Water’s solar powered gadget that draws drinking water from air humidity. Zero Mass Water sells a Hydropanel which uses sunlight to generate water out of thin air. David Thorpe is the author of Solar Energy Pocket Reference, Energy Management in Buildings, Solar Technology and Energy Management in Industry.